We just came back from a week in NH here. The location was great, the view of the mountains and the lake were breathtaking in the morning. The retro feel was different but kind of cool at the same time. The stove looks really small but it cooks great. The drive way is VERY steep so we had to back in for ease in the mornings. The master bed was only a full size and okay but I prefer a larger bed. On the whole it was a great week with my family. 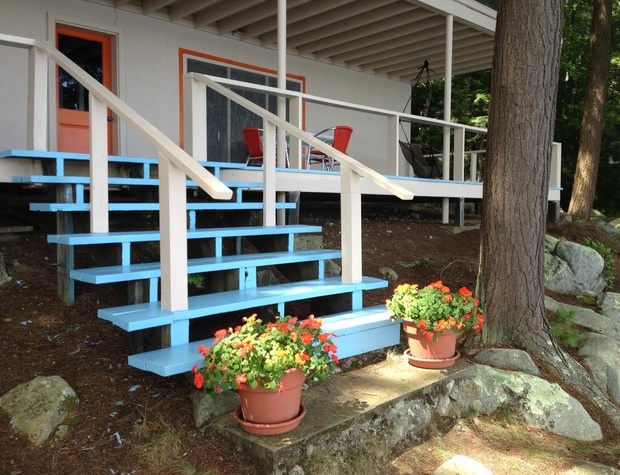 While this cottage is undeniably cute, the best part about it is the porch. We ate our meals on it, watched the lake traffic from it, watched the sun and moon rises, fireworks across the bay, listened to the loons, read, napped, did puzzles, played games and generally just hung out. 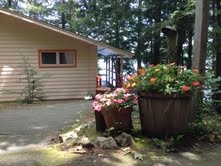 The cottage itself is close enough to everything, but far enough away to unwind and relax. It’s outfitted with just about everything you need, and is neat, clean and organized. The one story living layout was perfect for my mom, who was celebrating her 85th birthday, and she very much enjoyed the collection of books and the binder with the history of the cottage. Check in and check out was a breeze, and the people at Bayside were super helpful when we found we’d left something behind. The house was great. Nice and clean when we got there. They view from the screened porch was amazing. Nice and close to a lot of the activities but with out being on top of everything. Still quiet and peaceful. But they do need to update some of the furniture and the mattresses. Just to make it a bit more comfortable. We had an absolutely fantastic week on our vacation, The home was clean and had everything you would need to enjoy the stay. The place is in an area where the water can be very calm so it’s great for kayaking and so much to see while paddling around. Only warning, bring air mattresses as the beds are definitely not what would be considered comfortable. We enjoyed our stay very much. 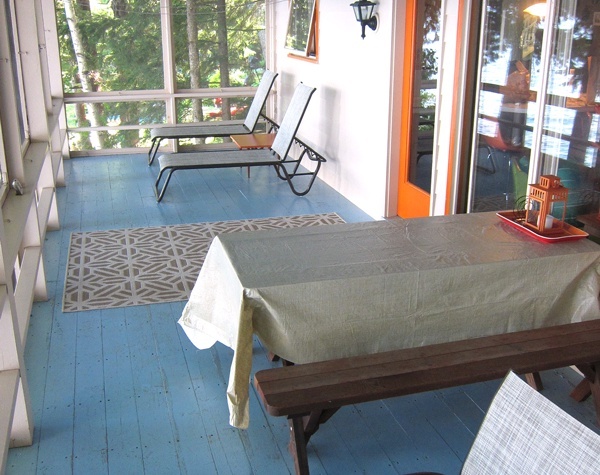 The screened porch is “to die for” & the lower porch was a great daytime hang out. 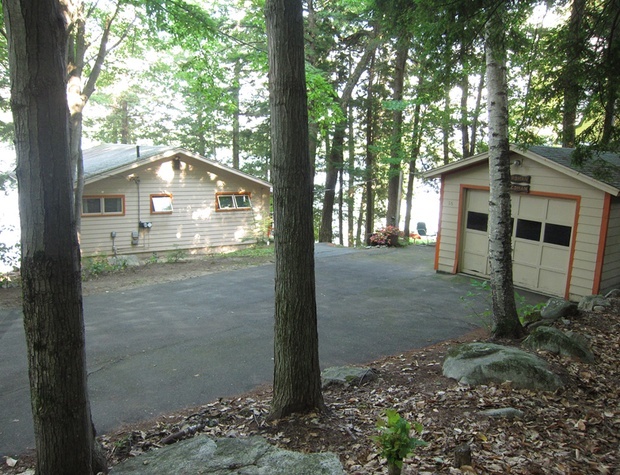 Overall the property was good and use of the garage was unexpected & AWESOME for our bikes and motorcycle. The property would benefit greatly from new mattresses and a comfy couch or cozy porch furnishings. 2 double kayaks included with lifejackets, etc. was wonderful!!! You MUST kayak across the cove to the small “river” between mainland and Stonedam Island – so tranquil! The dock/property loses sunlight around 1pm, making afternoon a great time to kayak out to get more sun! Thanks for letting us experience your property! I can’t say enough good things about the entire experience. Super easy check in/out. 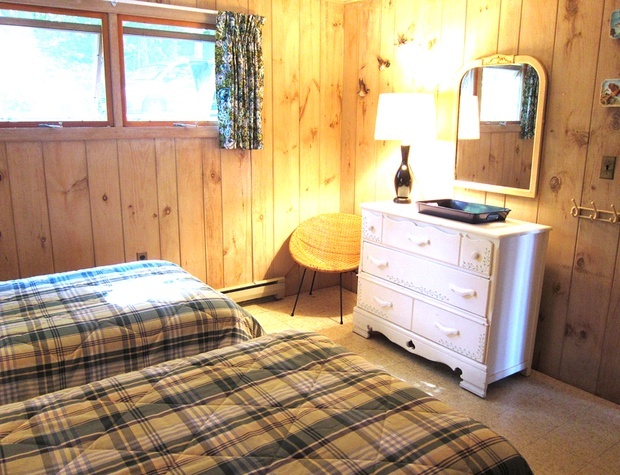 The location is perfect – close to everything and yet peaceful and secluded. 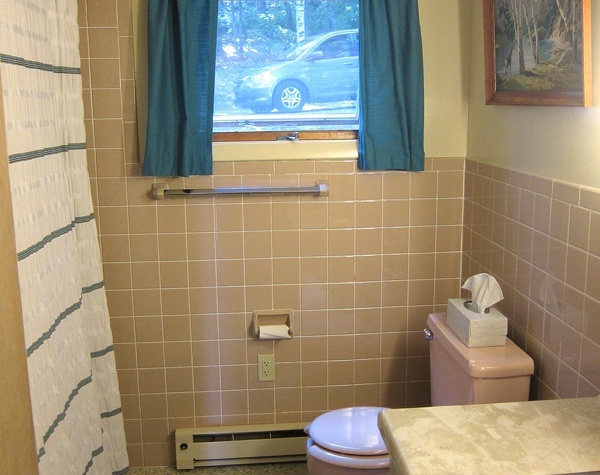 Anything you could possibly need was in this absolutely adorable, super clean cottage that’s right out of the 1960’s. You can tell the owners love the place, and they assembled a very helpful and informative book of info for your use while there. If you remember the way the Lake was – it still is, here. We hated to leave and can’t wait to go back! 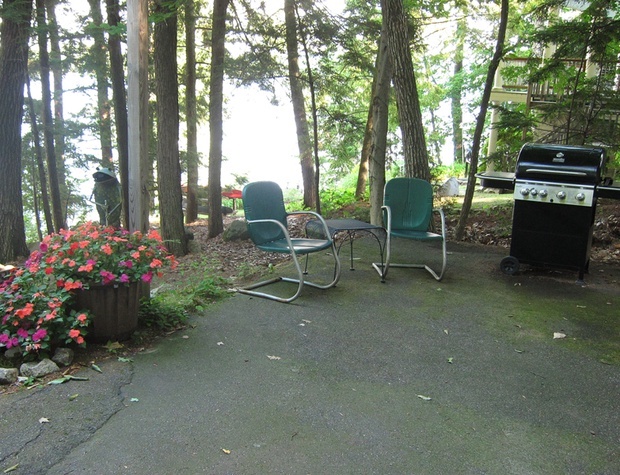 The property is in an excellent location, was very clean, the décor was entertaining, and the dock was great for boating, fishing and swimming. The only noteworthy downside: the beds were not comfortable.